Thus we come to the close on my first ever top ten anime of the year list. I think it went well… Although it made me realise that I watched a lot less anime this year than I thought I did. Sure, I watched a wider variety of shows than I probably ever have done before. But compared to just how many shows are out there to watch, I only really scraped the surface. It’s a start I feel happy with though, I discovered some new stuff and am looking forward to see what I can introduce myself to in 2019. Before I get ahead of myself talking about brand new anime in 2019, there is still a matter of the number one entry on my 2018 list. This entry; it probably one of the farthest from new anime in my personal books. If anyone who has been keeping up with my blog in any capacity is hopping for a surprise here, you’re barking up the wrong tree. This is a predictable entry for me, and at a point I was going to be apologetic about it. But what’s the point in being apologist when it comes to an obvious winner? You know what, I’m not even sorry. You people know what I am about, you’ve seen how much time and thought I have put into writing about Dragon Ball this year. It’s impossible for me to pick anything else as my favourite anime of the year. It’s the show that started my genuine love affair with anime, it’s the show I care most deeply about, it’s etched into me. Not only that, it’s the show that brought Dragon Ball back. 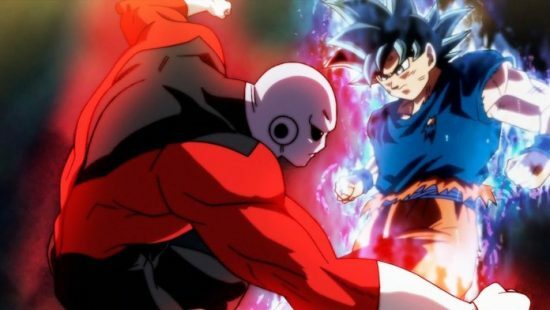 Dragon Ball Super ended early this year, after running for nearly three years. But that’s just the tip of the iceberg when it comes to Dragon Ball’s return to importance in current popular culture. Aside from the show, we got Dragon Ball FighterZ, the new Broly movie and even a Goku balloon at the major thanksgiving parade. Dragon Ball is back in the public consciousness and it’s been in no small part, thanks to the presence of this show. As flawed, poorly paced, poorly animated and poorly written as it oftentimes was. So yeah, out of the context of its cultural impact and its personal importance to me, Dragon Ball Super was kind of a bad show. Ironic eh. The animation during its early story arcs was unforgivably bad, the inconsistent writing, nonsensical power boosts and lack of real stakes meant that, for significant periods time during its run, I was avoiding it entirely. I get into this a lot more in a three part series detailing my major issues with the series. But I’m still happy putting here in my list. The things the show did well, more than made up for its shortcomings by the time the series was winding down, at least to me. You could say I’m being blinded by personal preference. That, in the end, a bad show is simply a bad show. 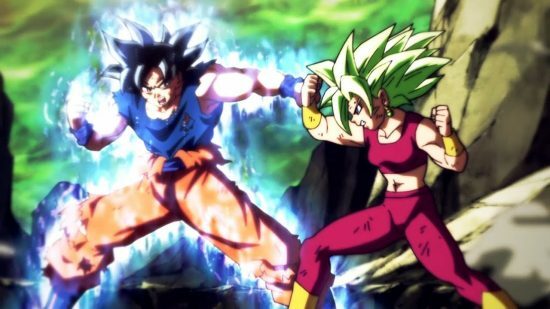 Maybe you’re right, Dragon Ball Super was bad more than it was good in terms of it’s overall length, but it was also responsible for more than half of my favourite moments in all of anime, movies and television over the course of the year. 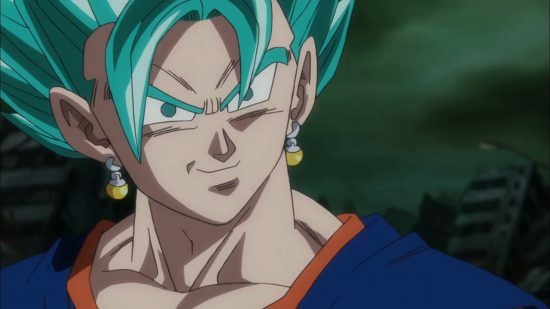 The final story arc, which takes up over half of the series’ 131 run, gives us opportunity to see some of the less Goku and Vegeta characters get some screen time and development. It broadens the state of the world and creates a whole new multiverse of opportunity for future storylines. It introduces a ton of new characters who quickly endear themselves to the audience. It gives us a new transformation and, maybe most importantly, gave us the Ultimate Battle insert song. Sure, the show only seems to hit a level of consistent quality in its final 30-35 episodes. It’s at this point we see a huge leap in the quality of animation. Genuinely amazing fight choreography and events that feel genuinely impactful. The three Ultra Instinct fights in the series are amongst my favourite in all of Dragon Ball. In terms of animation, impact and their sheer creativity. Goku grinding up that beam with his charged Kamehameha. Amazing. In the end though, I really include this on my list for two reasons. Firstly, I unapologetically love this franchise, it means so much to me that it would take a real stinker for it to not appear on here. If this show were still pre-Tournament of Power, it definitely wouldn’t have rated as highly on my list, if at all. And Secondly, Dragon Ball Super is a show that feels like it’s paving the way for something even better. Everything about the Broly movie looks amazing, especially the change in animation style. With this in mind, and the ongoing story being told in the manga. 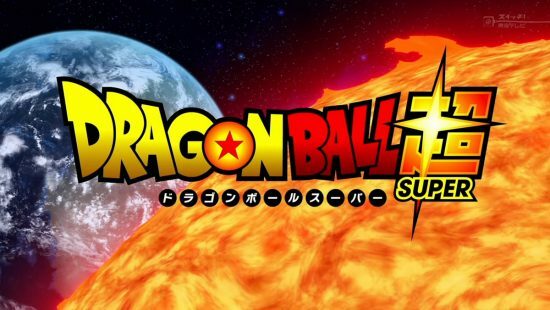 I am incredibly excited to see what comes next in terms of a new Dragon Ball anime. And if not for this series of Super, I don’t think any of that would have happened. So sure, you could argue that I am getting swept up in the experience of the franchise, and you’re right. Maybe I should have taken a more detached approach to this top ten anime list thing and rated things based on their own merits. It probably does means that there is little chance of anything but a Dragon Ball anime topping my best of lists in the coming years. But I am who I am and I am super excited to be a Dragon Ball fan right now. At other times in the year. I will approach shows and video games with a more measured approach. But when it comes to my top ten lists, I’d rather be honest and compile a list of things I, personally, enjoyed the most. Had this been a more objective list, I feel like it would also be a less interesting one. Maybe next year I will approach this list a little differently, try to judge shows based on their worth alone. But that seems a little less fun honestly. Nothing exists in a vacuum, it always felt strange to treat things as such. But hey, if you have thoughts on this, please let me know. Maybe I’ll do something different next year. 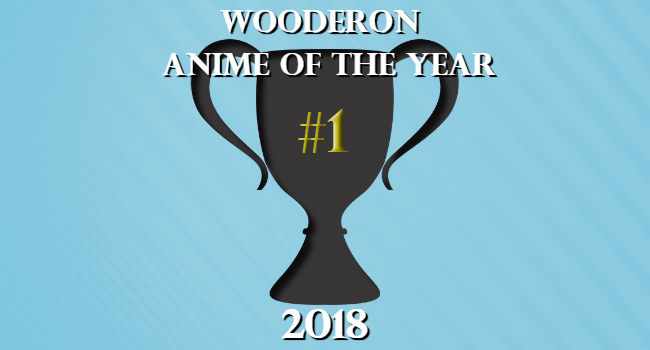 Posted on December 30, 2018 December 29, 2018 by WooderonPosted in 2018, Best of Year:Tagged akira toriyama, anime of the year, Broly, dragon ball, dragon ball super, goku, ultra instinct, vegeta.